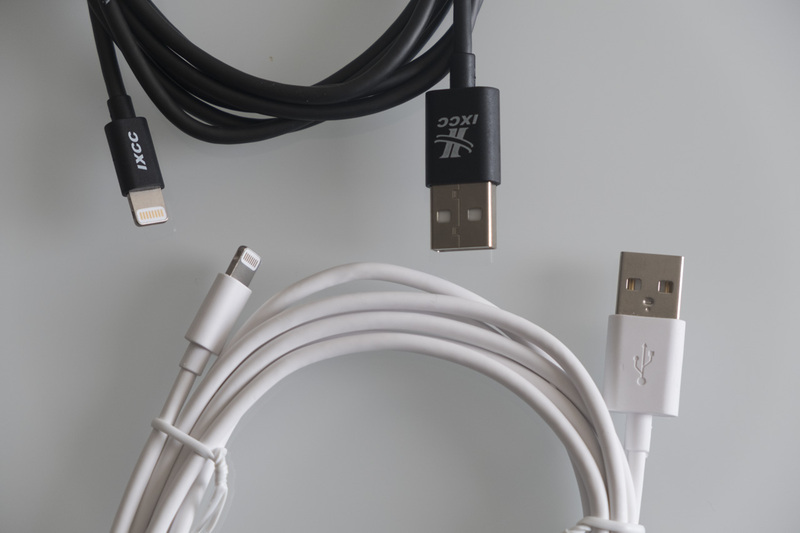 Apple’s Lightning cables are expensive and break easily, so many iPhone and iPad owners have turned to third-party manufacturers in hope of a better solution. Today we’re looking at one of the most popular choices on Amazon from MFi certified manufacturer iXCC. 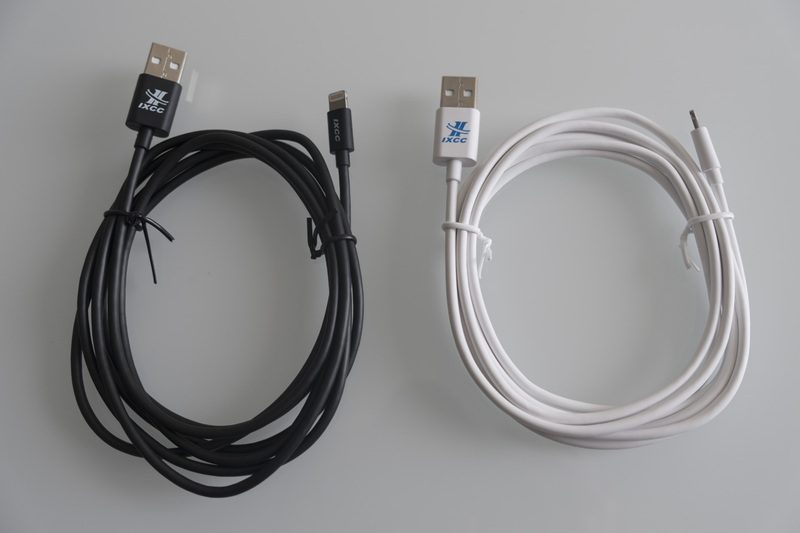 The Element II cables are available in multiple packs, depending on your preference for colour (black or white), length (3 feet or 6 feet) and quantity (one or two per pack). Our sample is two six feet cables, one in each colour. Examining the cables, it’s clear that some thought has gone into their construction. The cables are quite thick, similar to the insulated fast charging cables provided by Samsung with their flagship phones. They lack any kind of metallic or fabric covering, and have reportedly undergone “4000+ bend testing” to ensure a reasonable lifespan. The connectors are quite standard, and should fit into iDevices in or out of cases. The cables do their job when plugged in, providing charge without any difficulties. We’ve only been using these cables for a week so far, but there has been nothing to indicate any systemic weaknesses or drawbacks. The cables come with a two year warranty, so if they break rapidly you have some recourse. While these cables are far from the cheapest on Amazon, their current £12 / $15 price point for two six foot cables seems reasonable given their tough construction. Customer reviews have also been favourable, suggesting that our experience is not irregular. 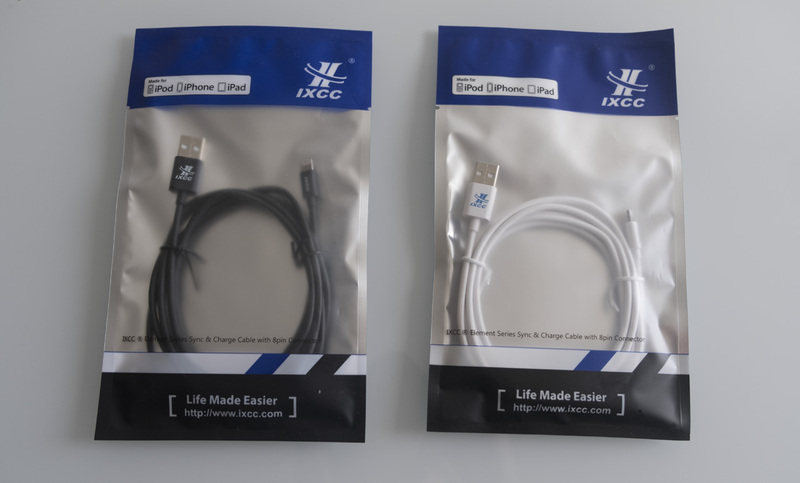 If you’re looking for a good replacement iPhone cable, the iXCC Element II is certainly a viable option.